Model based on the 1/32 Hasegawa kit. 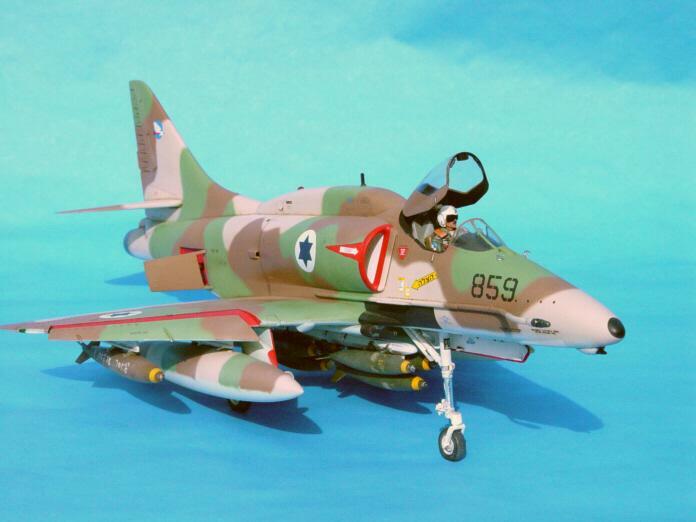 This model was built originally in 1988 with the appropriate Israeli airforce conversions (all scratch-built I might add), I stripped the paint off with oven cleaner because it had badly yellowed. I repainted it according to new reference material and photos available in the "IsraDecal" A4 book. My good friend Yoav Efrati, who co-authored that book was very instrumental in the accuracy of this model and his guidance throughout the project was most appreciated.